For attaching plywood or OSB to 16-gauge steel. 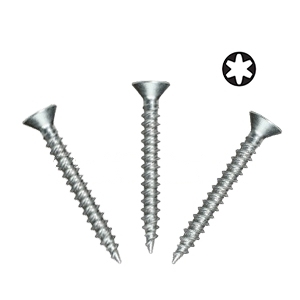 Hardened point provides instant penetration of steel substrates. Double thread yields greater holding power; screw advances up to 35% faster than conventional thread patterns.